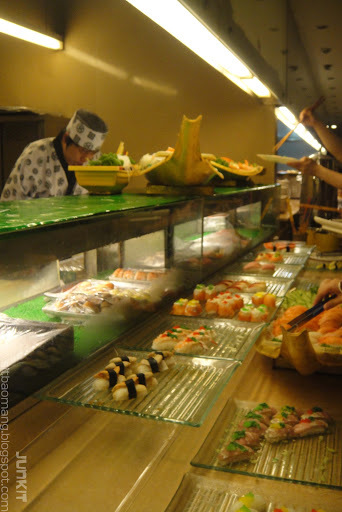 Saisaki, which shares it's fame with it's sibling outlets, Shogun is one of my favorite spot for buffets. Not to say that they serve the best Japanese food around, but the mix and match plus the price of it - RM52.20 somehow makes up for it. 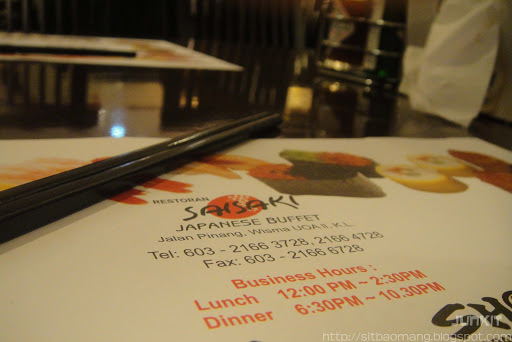 Definitely choosing Shogun/Saisaki if I were to go for a budget wise buffet but with better food quality. 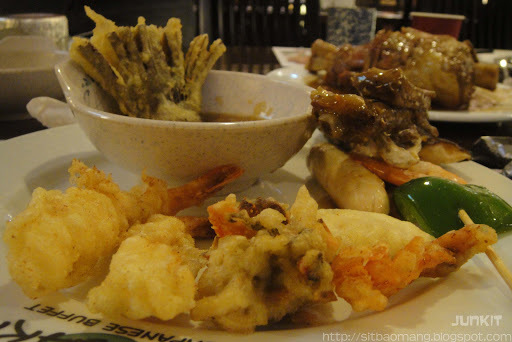 Shogun is located at 1 Utama and Sunway Pyramid, but my choice is still always Saisaki which is located at Jalan Pinang, Kuala Lumpur as I felt the food quality and environment there is much appealing. The sashimi counter. They have quite a few varieties, and real yummy crab meat! Large varieties to choose from, and almost half of them are really good. However, don't expect some really fancy or pricy food items. The food here - from pasta to crab, to fried chicken tastes good though. The sashimi here are of ok quality. Lowering down my expectation, the sashimis here are not bad actually. Not the freshest, but acceptable. 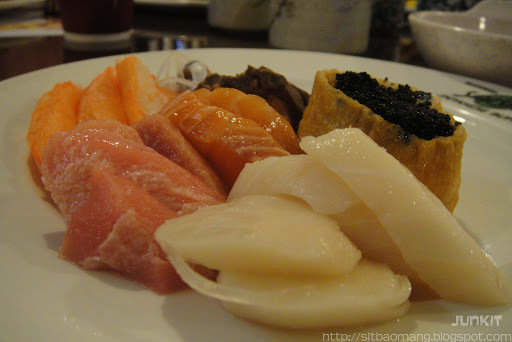 I took some butter fish, tuna, salmon and some Alaskan Crab(?) Sashimi. The crab tastes the best to me! 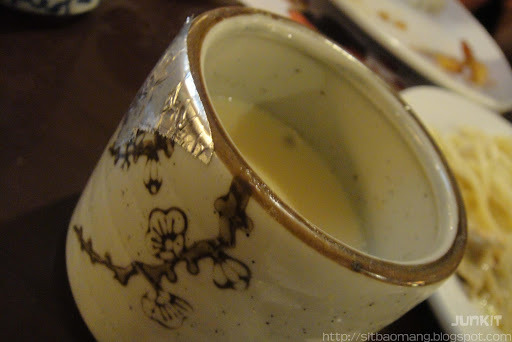 Chawan Mushi is a must have. Like the smooth texture and best of all, piping hot! 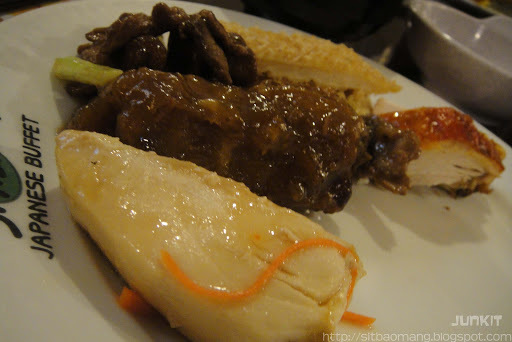 Some fried and stewed food items. The fried quail and chicken tasted really good. Don't over stuff yourself with these though, really addictive; especially with beer! 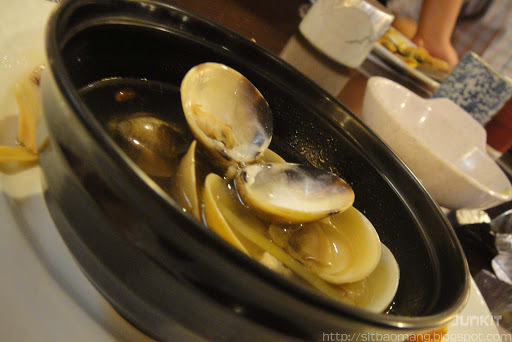 Clam soup, one of the best item here. 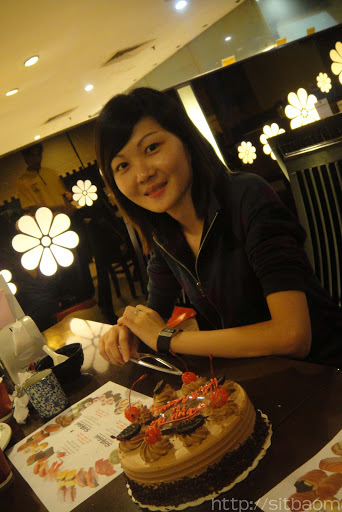 The soup is really good; dozed with lots of chinese wine. Nice! 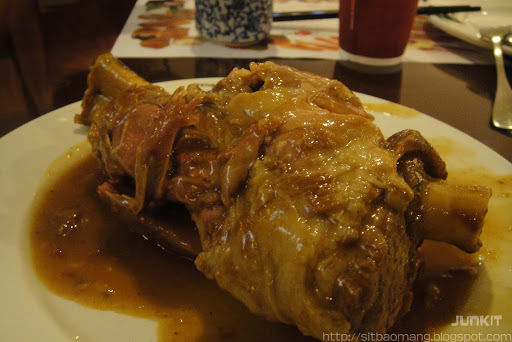 The huge lamb shank, in my opinion is the most money worthy and can easily put Secret Recipe's version to shame. The reason I'm saying it's money worth is because a plate or lamb shank could cause you around RM 25+ for a huge serving. You can get as many as you want, really tender and the meat just falls of with fork piercings! 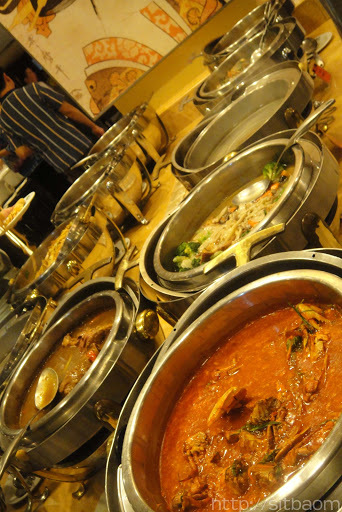 Warning though, it's one of the most sought after food on the buffet line. Some fried tempura. Lots of choices, but the batter tends to turn soggy after awhile. Some Teppanyaki to end our meal. 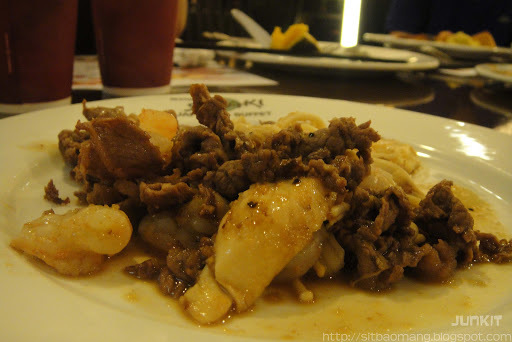 A little too salty, but other wise the meat and seafood tasted great in the buttery sauce. 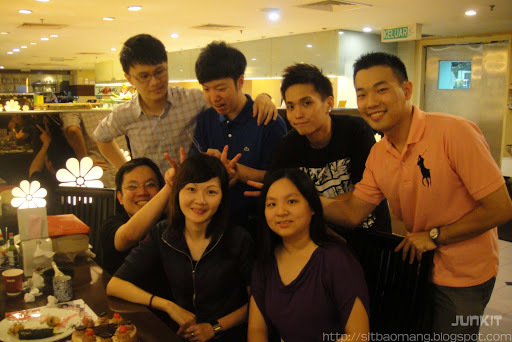 Really crazy colleagues - which translates to FUN! Overall, Saisaki/Shogun is really quite recommended for the amount/quality of food vs the price paid. 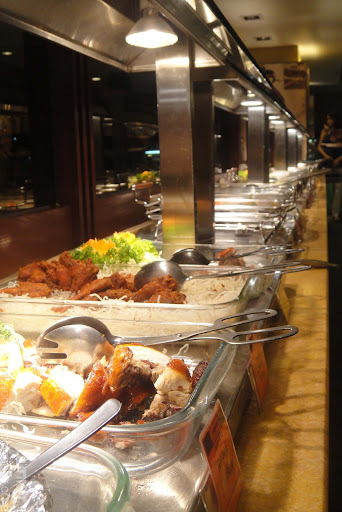 Would gladly return it for gatherings or family reunions too, as well the food wise and environment - which is less classier conveniently suits for an otherwise noisier crowd in my opinion. It's just different choices at different occasions.